Trump’s withdrawal from the Iranian nuclear deal actually plays to Pakistan’s strategic advantage and should be silently celebrated by its decision makers. Provided that Iran understands what just happened in the manner that will be described below and more or less adheres to the following scenario forecast, then the Islamic Republic might actually be strengthened by what Trump just did and not weakened, even if the mainstream media misleadingly portrays it otherwise in its attempts to manufacture a false perception among the global masses. Unlike it may have been in times past, there is now irrefutable evidence that the US cannot be trusted to honor even public agreements that it helped negotiate, to say nothing of secret ones behind closed doors, which should give pause to any Pakistani representatives the next time that the US approaches them about a so-called “deal”. Now that the US has proven itself to be utterly untrustworthy, Pakistan’s rapprochement with Russia is validated because everyone can now see the wisdom in Islamabad choosing to balance its erstwhile close relationship with Washington through a comprehensive diversification of relations with Moscow. The US’ re-sanctioning of Iran and threat to do so against any companies that continue to conduct certain types of business with the Islamic Republic might hit Indian infrastructure projects in Chabahar and pertaining to the North-South Transport Corridor (NSTC) especially hard, and New Delhi can no longer be counted on as a reliable long-term purchaser of Tehran’s energy resources. After the US expectedly scrapped the nuclear deal and the high probability exists that India might limit its hitherto strategic relations with Iran under pressure from its newfound Washington ally, Tehran finally knows who its real friends are, and this revelation can lead to a renaissance of Iranian-Pakistani relations that prevents third-party provocateurs from sabotaging their relations like they did in the past. 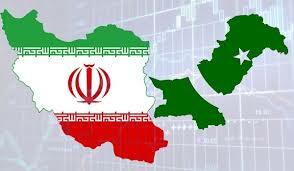 Faced with a worsening of full-spectrum pressure against it on the western flank, Iran might seek a “pressure valve” through intensifying its cooperation with Central Asia and Pakistan, particularly as it relates to potentially pairing Chabahar with Gwadar and establishing the tangible infrastructural foundation of CPEC’s western branch, or W-CPEC+. With China’s reported high-speed Silk Road railway plans for Central Asia yet to break ground and CPEC already being open for business, there’s a very real chance that Pakistan can prospectively play the central role in facilitating Iranian-Chinese trade through W-CPEC+ and accordingly boost its Eurasian geostrategic significance in response. It remains to be seen, but provided that India downscales its cooperation with Iran in the face of American pressure just like it did in pulling out of the Fifth-Generation Fighter Aircraft agreement with Russia recently, then Pakistan could replace the NSTC with a Russia-Pakistan Economic Corridor (RPEC) that becomes part of the northern vector of CPEC, or N-CPEC+. Iran’s unprecedented strategic reliance on neighboring Russia following Trump’s withdrawal from the nuclear deal and the Islamic Republic’s projected pivot towards Pakistan and China could form the integrational basis for the so-called “Golden Ring” of multipolar Great Powers that might naturally extend to include each party’s close Turkish partner as well. The collective support that the aforementioned four Great Powers could provide to Iran during this crucial time would symbolically represent the emergence of a multipolar world order that’s prepared to counter the US’ unipolar hegemony in areas of shared concern, with this possibly being a test run for more sustained cooperation in dealing with other crises such as the long-running one in Afghanistan. Pakistan’s geostrategic position as the Zipper of Eurasia makes it poised to play the pivotal role in these world-changing processes of supercontinental integration and multipolarity, though the next step must be that its leadership reaches out to Iran and makes it aware of this grand vision in order to probe the pace at which Tehran wants to proceed. This article was originally published on Pakistan Politico.